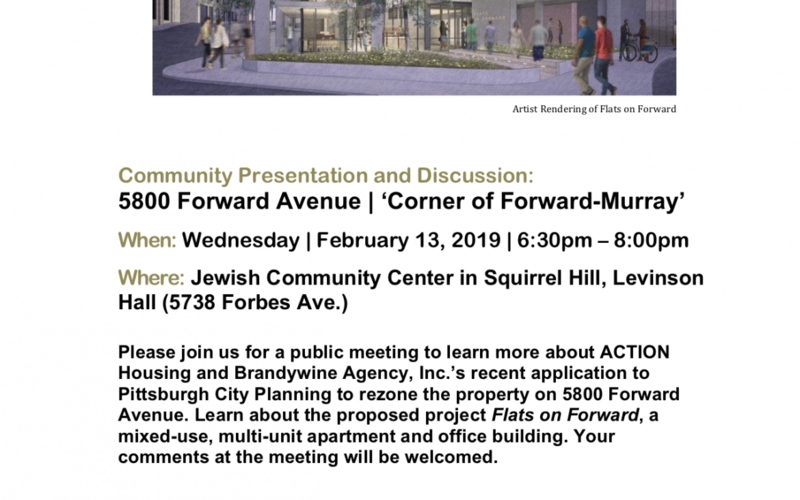 Please join us for a public meeting Wednesday, February 13th 6:30pm at JCC in Squirrel Hill to learn more about ACTION Housing and Brandywine Agency, Inc.’s recent application to Pittsburgh City Planning to rezone the property on 5800 Forward Avenue. Learn about the proposed project Flats on Forward, a mixed-use, multi-unit apartment and office building. Your comments at the meeting will be welcomed.